Environmental, social, and governance investing – also known as ESG – has exploded in popularity, with roughly $US23 trillion being invested with at least a partial ESG mandate. Morgan Stanley sees several factors combining to make ESG an even bigger investment force than it already is. 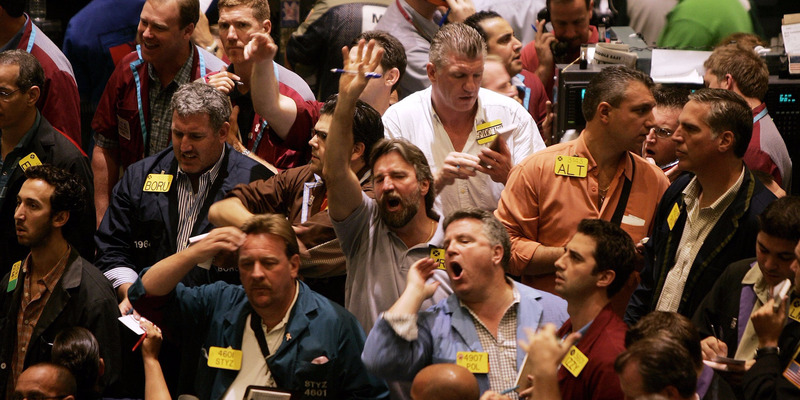 Sustainable investing is here to stay, whether money managers like it or not. And if Morgan Stanley‘s prognostications are correct, it’s about to start making its influence felt to an unprecedented degree. The firm published a report on the state of environmental, social, and governance investing – or ESG, as it’s more commonly called – and found it to be at a tipping point. The strategy is growing at a time when investor reservations are vanishing, creating an ideal situation for growth, according to Morgan Stanley. Money managers already have almost $US23 trillion earmarked with an ESG mandate, which is roughly 25% of the entire global investment universe. Roughly $US8.7 trillion of that is US money, while European investors account for another $US12 trillion, Morgan Stanley data show. 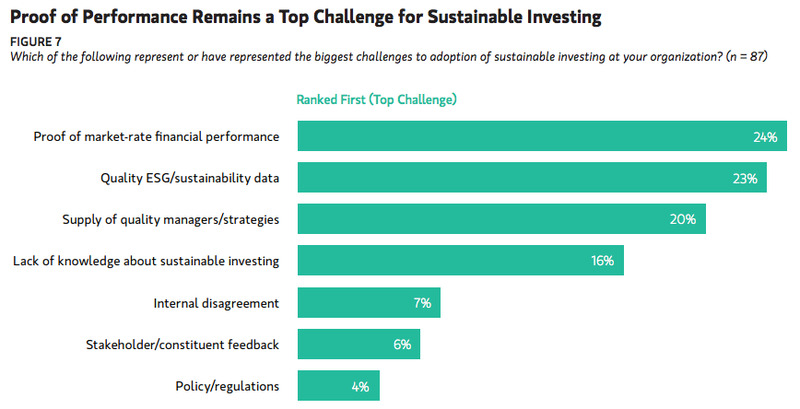 As the chart below shows, 84% of the 118 assets owners surveyed by the firm are at least “actively considering” integrating ESG criteria into their investment decisions, with nearly half saying they’re seeking implementation across the board. For context, the group spans public and corporate pensions, endowments, foundations, sovereign wealth entities, insurance companies, and other large asset owners worldwide. After all, as the chart below shows, proof of performance remains the top deciding factor for investors considering an ESG strategy. Luckily for ESG enthusiasts, the firm says this misguided idea seems to be fading. “It appears that large institutional asset owners may be replacing this view with a more sophisticated recognition that ESG factors provide unique insights into long-term risks and opportunities that might not be captured by traditional financial factors,” Morgan Stanley analysts wrote in a report. What’s more, the firm finds that the future looks bright for ESG, considering the investment behaviours of millennials. Morgan Stanley’s 2017 survey of individual investors found they’re more than twice as likely as other generations to consume products made by companies seen as sustainable. With all of that established, it’s clear that ESG has a bright future of growth ahead of it, especially as the notion of a value trade-off evaporates.